Most of the traders would be actively trading in options, but very few make use of the NSE option chain data. Option chain data can be used to find out the actual trend of market. 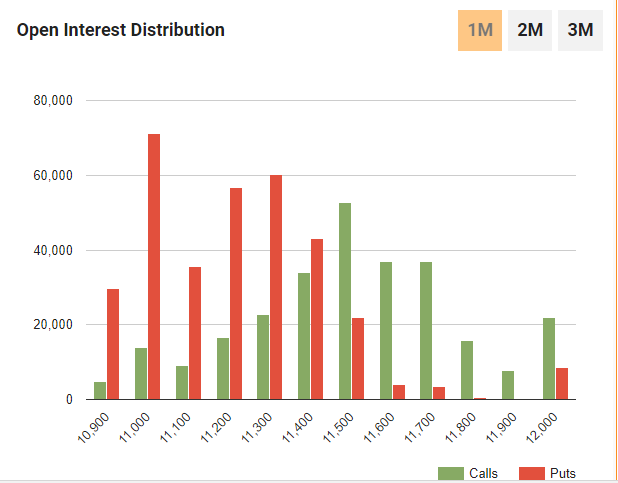 Institutions and other big funds usually write/sell options and finding which strike prices has most open interest can tell us the support and resistance of the market for that expiry. 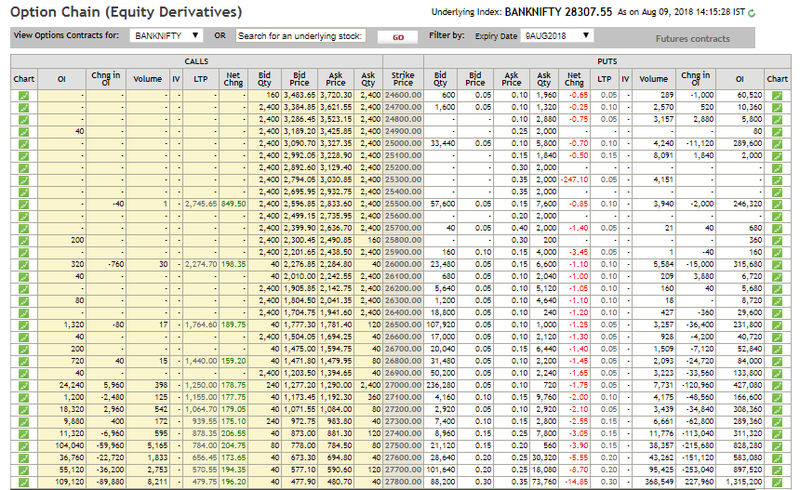 Consider the below Open Interest table for Nifty Aug expiry, as you can see in the below table 11,000 Put option has the highest open interest which denotes that there has been more no of traders have shorted/written 11,000 PE option, and it will act as a strong support level for the Market. 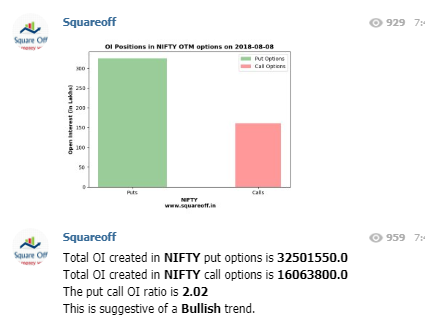 Similarly, on the higher side 11,500 Call option has the highest open interest which denotes that there has been more no of traders have shorted/written 11,500 CE option, and it will act as a resistance level for the Market. 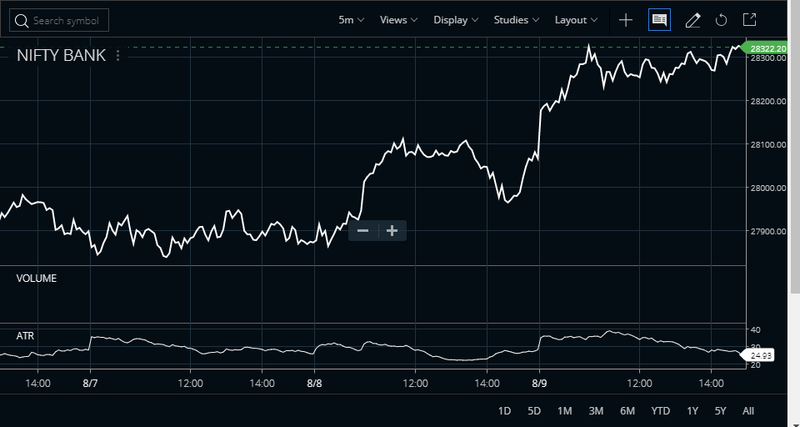 Market breaking this level means, higher losses for big institutions and other large funds, so they don’t let it happen. And usually the OTM options gets shorted heavily, if we could find out whether Put OTM Options are shorted heavily or Call OTM options are shorted heavily, we gauge the market direction. 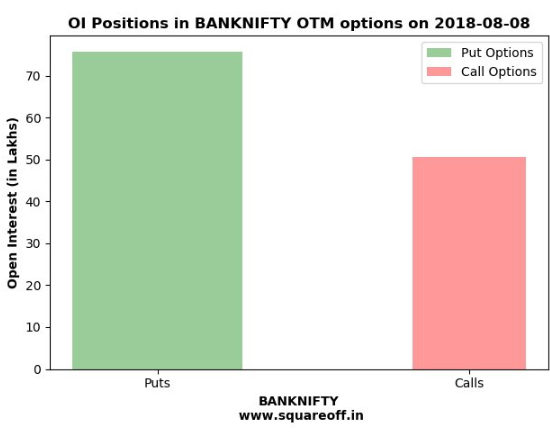 If total Open interest built up is more for put options, it signifies market participants doesn’t expect the market to fall and it signifies bullishness. 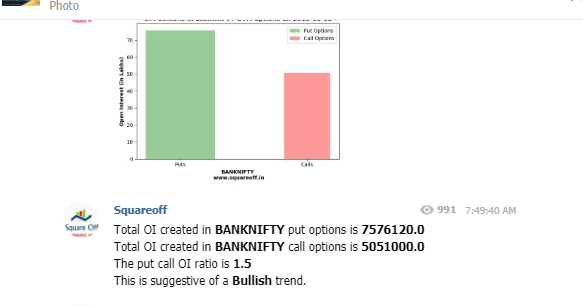 We have created a bot to grab the option chain data from NSE and do the data analysis, it sums up the total OTM Call options Open Interest and OTM Put options open interest to provide the visual representation of Call options Vs Put options OI, it helps in finding the trend of the market. 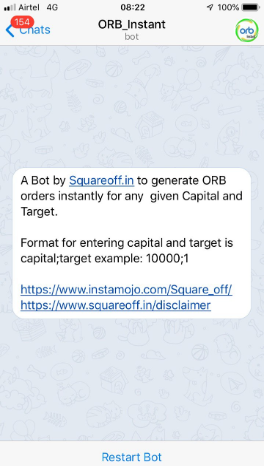 The Telegram bot that we created would be sending the alert to all our Telegram Channel subscribers, the bot basically does the option chain analysis and tell the trend?—?Bullish(If OI is more for Put option) or Bearish(If OI is more for Call option), based on the result, short term traders or intraday traders can trade accordingly.